Jane Donawerth – The Future is Female! 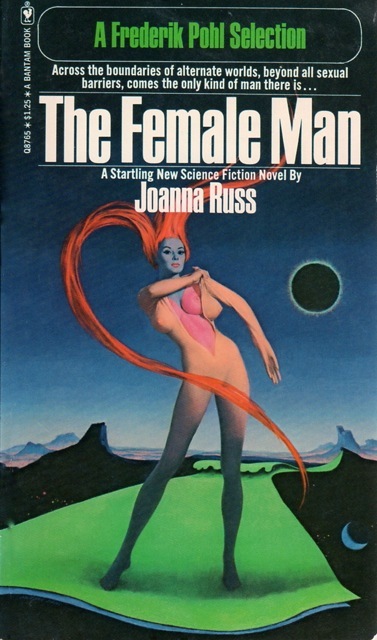 Reproduction sparked remarkable invention in women’s science fiction in the magazines. Early writers created utopian revisions of biological reproduction, as in Lilith Lorraine’s “Into the 28th Century,” in which mothers overcome fear of childbirth because children are removed from their bodies and come to term in an incubator. Dystopian accounts of reproductive crises are common in the middle of the twentieth century, as in Judith Merril’s “That Only a Mother,” in which a mother during wartime cares for her baby deformed by radiation. Other stories depict a future where technological procedures are common, as in Ursula K. Le Guin’s “Nine Lives,” which explores the psychological bonds of clones. And alien alternatives to human bisexual reproduction are featured as well in women’s stories, as in Sonya Dorman’s “When I Was Miss Dow.” Thus we can see, from the anthology The Future is Female! and this website that supports it, that the myth that women writers didn’t feature science ignores their frequent imaginative use of science in SF magazines. One of my favorite authors on the topic of the science of reproduction is Katherine MacLean (b. 1925). The daughter of a chemical engineer, she held a number of jobs, including economics graph-analyst, antibiotics researcher, and food factory quality controller. She started publishing SF in 1949, and in 2011 won the Cordwainer Smith Award. What animated many of her stories was her work as a lab technician and the advances in cytology (study of cells) of the twentieth century. Especially important were the discoveries that cells have autonomy, that each individual cell is alive and can become at least briefly self-sustaining, and that cells are potentially immortal, that they can continually replicate outside their original body, if given enough sustenance. (Actually, scientists learned in the 1950s that only cancer cells are immortal.) MacLean’s “The Diploids,” her “And Be Merry,” and her “The Kidnapping of Baroness Five” all turn to cytology as a scientific way of reproducing at cell level, and so of transforming humans. In MacLean’s “Contagion” discoveries in cytology form the basis of an exploration of anxieties about women’s roles in the future in space: how does she manage roles as reproductive agent, healer, and worker/scientist? No mothers or children appear in the narrative, however, for the theme of reproduction is worked out at a cellular level. In this short story, the enemy is not an alien, but a human cellular adaptation that is carried into the body through viral infection. The humans they meet on the planet “infect” them with their leucocytes and phagocytes (Greek for “eating cells,” discovered in 1908), changing the signals on the humans’ own immunological systems so that they start destroying their own cells, instead of the invader. MacLean captures the irony of the body’s own defense mechanisms: like the Nucleocat Curall derived from enzymes that protects the colonists, the Mead cells destroy in order to regenerate. Because cells are autonomous, these phagocytes could be taken from a human body, raised in successive generations, and evolved to be something else. Because cells are immortal, the “melting sickness” is part of the colonists’ inheritance. Patrick Mead infects with his own immunological system (171), so that instead of healing, the cells attack the original humans’ cells, leaving only the nervous system (thus at least inner identity intact). Women are not infected by the male colonist’s visit, so women’s roles come to the fore as they help to heal the men. As scientists, husband and wife figure out the puzzle together after Patrick tells them test tube evolution was required to adapt the colonists to the planet’s resources. June identifies the infection, then Max and June together discover the process, as the men all turn into Patrick Mead physically. When the women discover the change, they fear for themselves and long to flee the planet to return to earth, but June decides to open the door to the first female Mead, thus initiating the change for the women. The story capitalizes on the ironies of science and women’s gender roles in space. As technicians and scientists, they are partners and managers of the failing men. As healers, they nurse them, then get them into the regeneration tanks. As reproducers of humanity, they choose to stay “with their men” in order to share their lives, reproduce, colonize. Ironically, their science allows them to save the men’s lives but not their physical identities. Their roles as healers actually facilitate the men’s infection. The only means to continue their unions and have children is to infect themselves and thus transform themselves, too. The story not only employs but also queers science: Patrick and Patricia originate from the same cells and have created a whole world of non-binary but apparently heterosexual humans. For the women, the ending is ambiguous: is this story an example of the feminine trait of cooperation expressing itself in cooperative evolution by infection from outside agents? Or is the women’s final choice an example of the erasure of feminine identity? 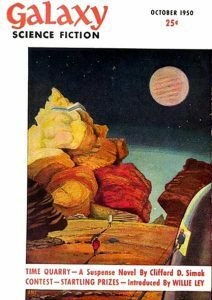 On women’s use of science in early SF magazines, see Jane Donawerth, ch. 1: “Utopian Science in Science Fiction by Women,” in Frankenstein’s Daughters: Women Writing Science Fiction, Syracuse University Press, 1997; Lisa Yaszek, ch. 4: “Scientists,” in Galactic Suburbia: Recovering Women’s Science Fiction, Ohio State University Press, 2008; Jane Donawerth, ch. 4: “Katherine MacLean’s Short Science Fiction and Cytology: Science as Parabola,” in Parabolas of Science Fiction, ed. Brian Attebery and Veronica Hollinger, Wesleyan University Press, 2013; Patrick B. Sharp, Darwinian Feminism and Early Science Fiction: Angels, Amazons and Women, University of Wales Press, 2018; and Jane Donawerth, ch. 14:“Women in the Golden Age of Science Fiction,” The Cambridge History of Science Fiction, ed. Gerry Canavan and Eric Carl Link, Cambridge University Press, forthcoming 2018. 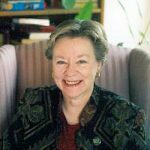 Jane Donawerth, Professor Emerita of English at the University of Maryland, is the author of Frankenstein’s Daughters: Women Writing Science Fiction (1997) and books on Shakespeare and the history of rhetoric and rhetorical theory by women. She is also coeditor of Utopian and Science Fiction by Women: Worlds of Difference (1994).